Back in the day when I didn’t know my husband yet, the only bean dish that I knew how to eat was plain ol’ canned Pork & Beans. Although I have tasted other dishes that use beans as the main ingredient, I was never really a fan. That was until my husband introduced me to his mom’s Fabada. 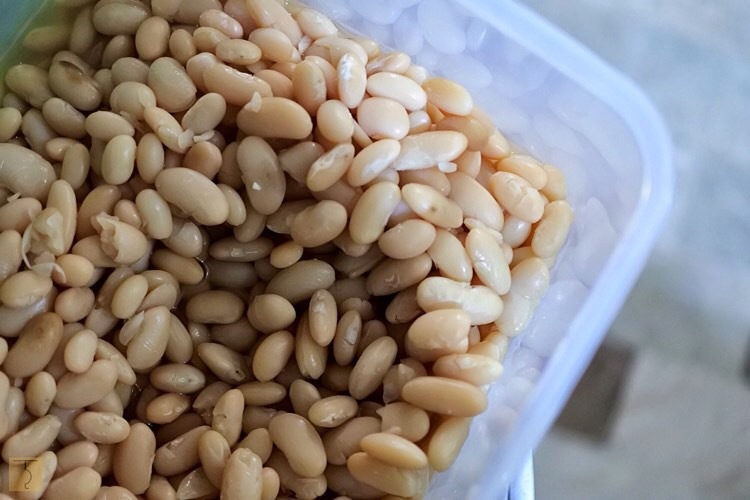 My mom in law soaks the beans overnight and uses a pressure cooker. Her version is filled with pork belly, bacon, chorizo bilbao, olive oil and extra virgin olive oil. Lots of it! Oh! It was absolutely good! My mom in law was a superb cook and she doesn’t believe in scrimping on ingredients. And just like what she taught me, I should only use the freshest produce and quality ingredients whenever I cook. It was also through her that I was introduced to Filippo Berio Olive Oil and Extra Virgin Olive Oil. 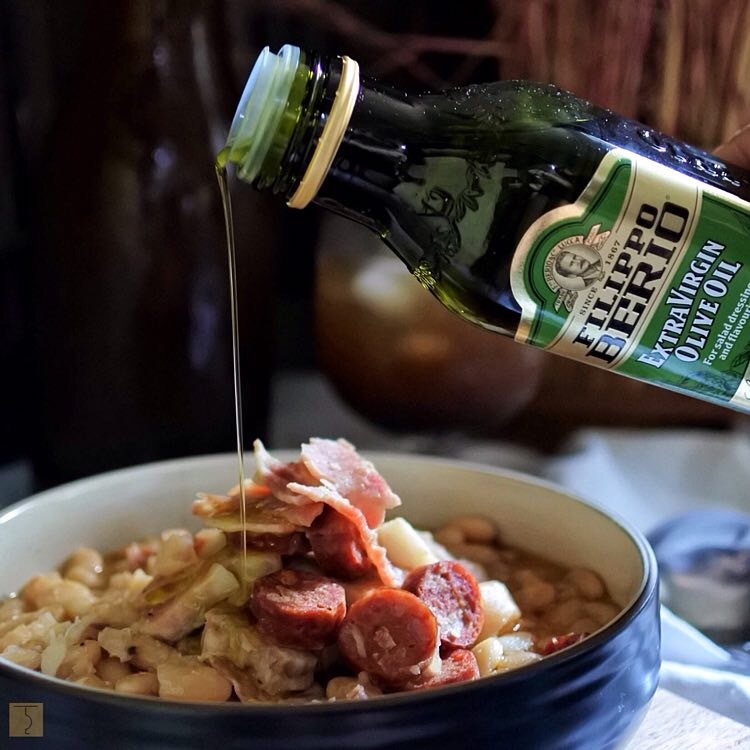 Whenever I cook Fabada, I only use Filippo Berio Olive Oil and Extra Virgin Olive Oil. It does not only make my Fabada better, it has a mild flavor that doesn’t ruin the overall flavor of the dish. It also gives off a nice aromatic smell especially when sauteing. It goes without saying that olive oil is healthier than others. And this brand is friendly on the pocket, too! Alright, enough with the small chit-chat! 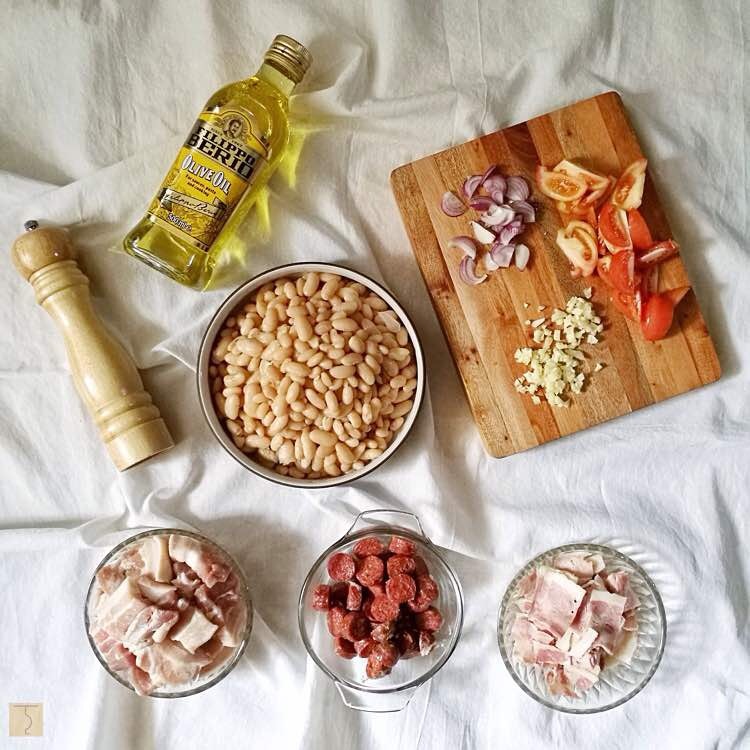 It’s now time to show you how to make Fabada con Filippo Berio — #TheDreys version! This rich Spanish bean stew is usually served as a starter. But here in Manila, especially in our home, this is served as a main entree. *You may also top it with Jamon Serrano or prosciutto before serving. 1. Soak the white kidney beans overnight. 2. Boil the kidney beans until soft but not mushy. Set aside and save the stock. 3. In a casserole, boil the pork belly until tender. Set aside. 4. In a clean pan, drizzle with Filippo Berio Olive Oil then saute garlic, onions and tomatoes. 5. 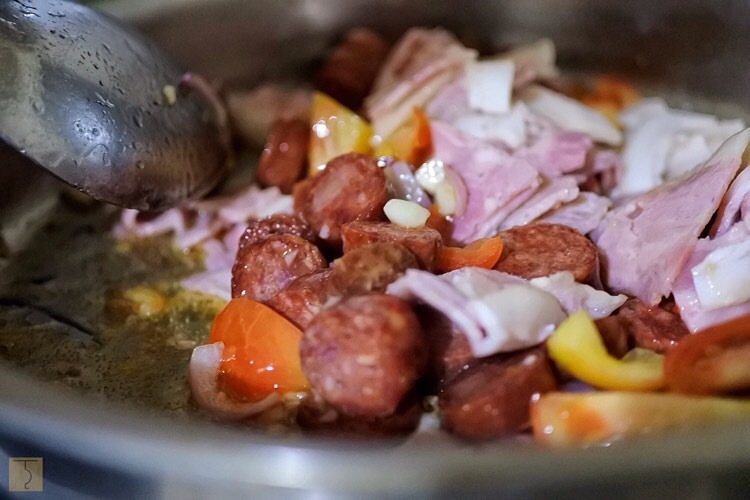 Add in chorizo, bacon and pork belly then mix. Then add the kidney beans. Mix. 6. Pour some stock, cover and let it boil until liquid is slightly reduced and becomes a little thick. 7. Season with salt and pepper. Turn off fire. 8. Serve in a bowl. 9. 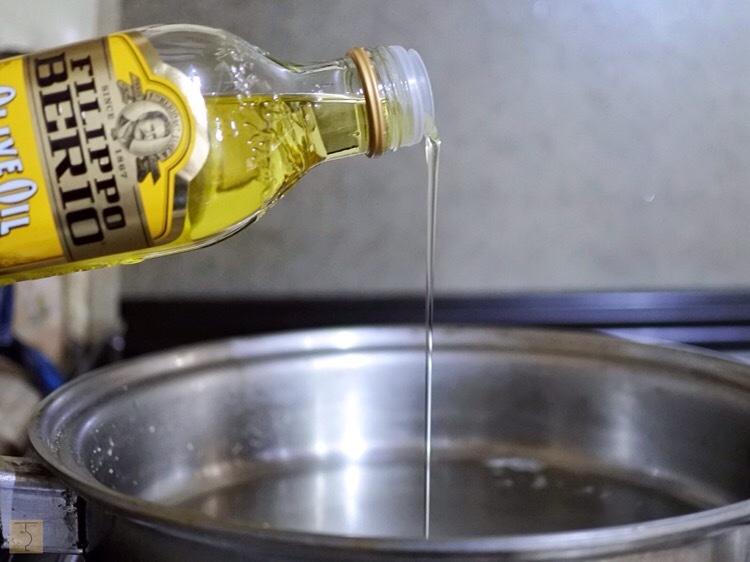 While still hot, drizzle Filippo Berio Extra Virgin Olive Oil on top before eating for a beautiful finish. This fine aromatic oil is made from the first cold-pressing of the finest olives making the flavor of my Fabada more delightful. 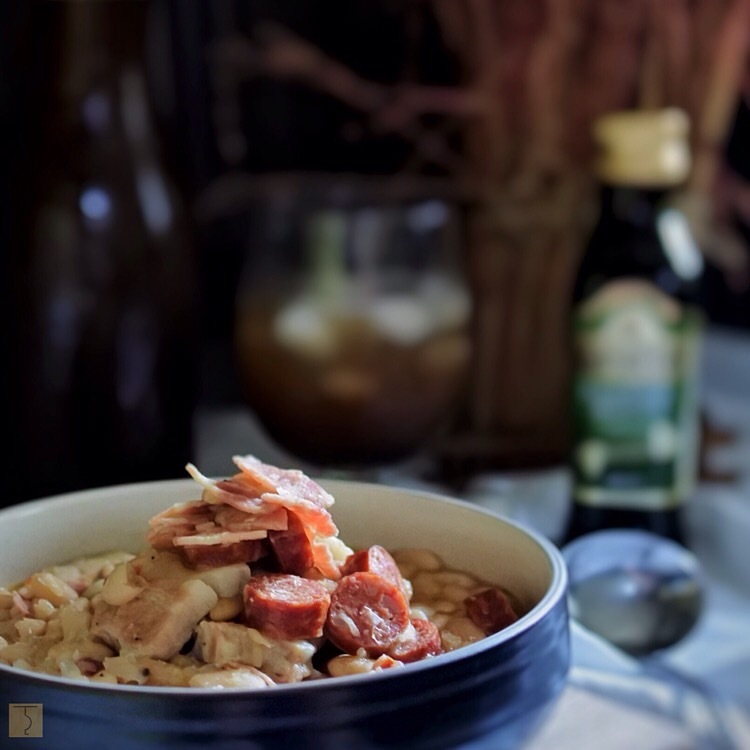 Fabada has always been our go-to comfort food in our home which is why I painstakingly prepare it and only use the finest ingredients available. Whenever I have the time, I make sure to prepare this dish for the family. I no longer wait for some special occasion to cook this specialty because, you see, every day becomes a special occasion for #TheDreys when good food is served at home.